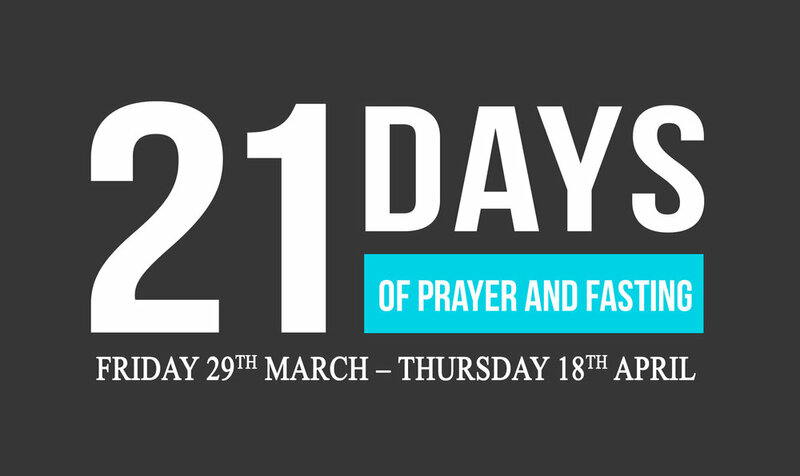 From Friday 29th of March we are starting our 21 days of prayer and fasting. Our goal for fasting is to draw nearer to God. Biblical fasting always has to do with eliminating distractions for a spiritual purpose; it hits the reset button of our soul and renews us from the inside out. It also enables us to celebrate the goodness and mercy of God and prepares our hearts for all the good things God desires to bring into our lives.